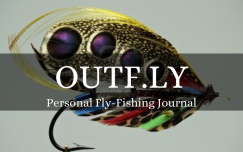 Outfly, the personal fly-fishing journal, is a simple tool for all fly-fishers. Record your location, weather, water temps and conditions, flies used, fish caught and released - add photos to complete your historical record. --UPDATE Dec 11: just added user sign up functionality...but that is it for today - this evening I'll be watching the rest of the video and adding more functionality over the next couple of days...let us know how you like the app, sign up for it if you're intersted, we'll be continuing development long after the class is over. 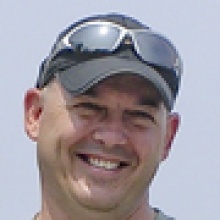 --UPDATE: Dec 12: added sign up, log in and log out routines. Started to improve the home page view for logged in users. --UPDATE: Dec 15: about as far as we are going to get for this class project right now. Created a model for JournalEntries. Created a new Homepage for logged in users - can now add a new journal entry and/or browse/edit existing entries. Only problem is when we are listing the entries, the test description field is expanding too far, and I don't know how to depricate this - so the listing is quite ugly right now. This will be my next area to learn! UPDATE: Dec 15: Finally got a few moments to figure out how to make the browse/edit, or Journal Entries listing/index to look prettier, here's a screenshot - much better than it had looked :) ! This class has been awesome in the inspiration and knowledge passed on! I truly feel I've learned the basics of Rails development - and can't wait to further update and improve this application to realize our intentions! Thanks Matt and staff for providing a springboard like this for us!!! You guys rock!